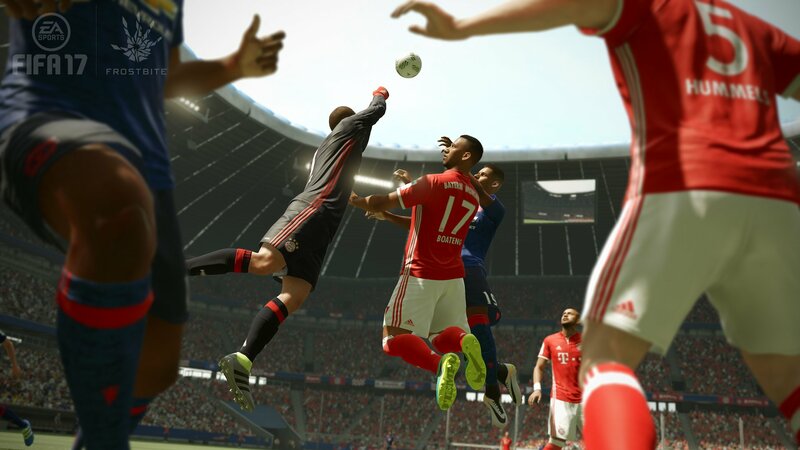 With an inception dating back to 1993 and over 100 million copies sold worldwide, the FIFA series is the most popular sports video game in world history. The FIFA Interactive World Cup was initiated in 2004, and has been recognized by the Guinness Book of World Records as the Largest Online Gaming Tournament in the world. With a viewing public that spans the globe, the audience for such a spectacle is even bigger, and has included such luminary teams as Epsilon, Millenium, and Team Supremacy. Paddle configuration: Whether you’re playing offense or defense, SCUF’s patented paddle technology helps you make every moment count. Passing, shooting, tackling, rushing: everything is more fluid, and the paddle locations beneath the controller itself buy you those precious seconds that could mean the difference between a win or a loss. Throw passes and dropkicks faster than you’ve ever been able to before! 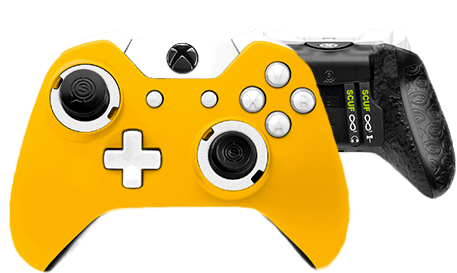 Triggers: With SCUF’s adjustable trigger stops, you can control pace and switch to sprint on the drop of a hat. SCUF reduces the timing of a trigger squeeze to that of a click: giving you the precision you need for the advantage. Your hold on the triggers will never feel more effortless or secure. Grip: Footballers need a good grip on the ball, and so do you on your controller! 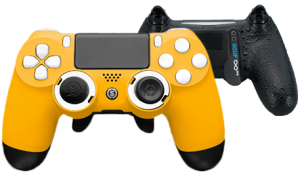 The SCUF Pro Grip system is a military grade, no-slip surface that provides excellent hold and precision. Thumbsticks: When it comes to hand size, not all controllers are created equal. SCUF’s interchangeable thumbsticks let you decide what works best for your hands and your playstyle. Discomfort after marathon gaming sessions will become a thing of the past. Combine that with a choice of domed or concave thumbsticks, and you’ll be gliding the ball between opposing players with ease.